This specimen was found on a tapelift from a home in Cleveland, Ohio. There was a very significant population of these mites in this home. The male can be distinguished from the female by its very large, grasping, fourth pair of legs. 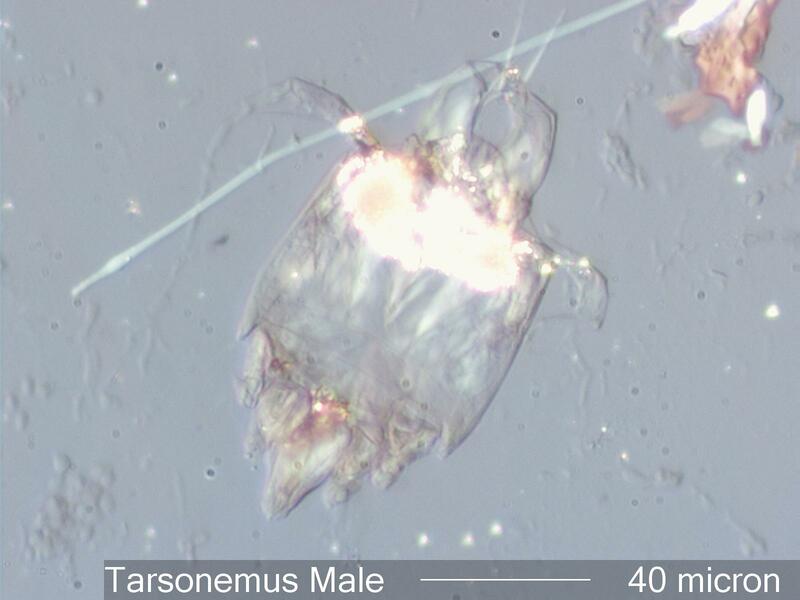 These are visible in this photograph directed straight back from the mite and arcing together behind the mite in the upper part of the image. The birefringent setae extending backward from the fourth set of legs can be seen in this image. The highly birefringent materials in the abdomen of the mite are nitrogen containing waste products. The head of the mite is facing down to the left.